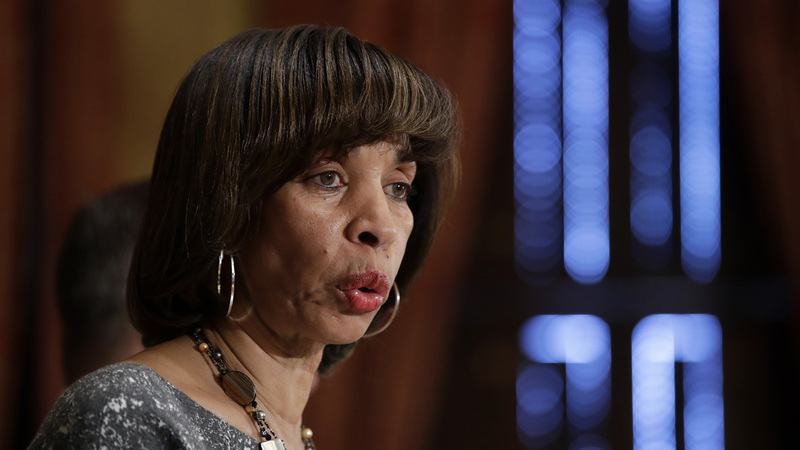 Baltimore Mayor Considers Removal Of Confederate Monuments : The Two-Way Mayor Catherine Pugh says she wants to "take a closer look at how we go about following in the footsteps of New Orleans," which removed its confederate monuments earlier this month. Mayor Catherine Pugh speaks at a news conference at City Hall in Baltimore on April 4. "The city does want to remove these," Pugh told the Baltimore Sun. "We will take a closer look at how we go about following in the footsteps of New Orleans." Earlier this month, New Orleans Mayor Mitch Landrieu delivered a speech that drew widespread attention, explaining why he had ordered the removal of that city's confederate monuments. 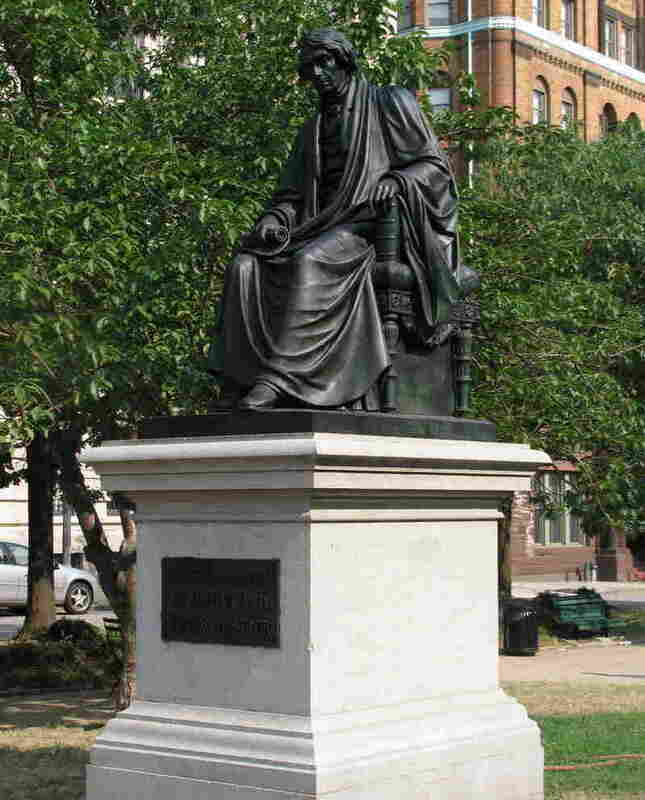 Among Baltimore's monuments to the Confederacy is a statue of Roger Taney, the Supreme Court chief justice who wrote the infamous Dred Scott decision that said, among other things, that African-Americans could not be citizens. The city also has statues of Confederate generals Robert E. Lee and Stonewall Jackson. Pugh suggested one way to get rid of the statues, telling the Sun, "It costs about $200,000 a statute to tear them down. ... Maybe we can auction them?" "These two men became subjects of the Lost Cause movement which portrayed them as Christian soldiers and even as men who opposed slavery. Today current scholarship refutes these claims. These larger-than-life representations of Lee and Jackson helped perpetuate the Lost Cause ideology, which advocated for white supremacy, portrayed slavery as benign and justified secession." Carolyn Billups, former president of the Maryland chapter of the United Daughters of the Confederacy, told the Sun, "I find it interesting that Baltimore city has that kind of money to move statues when there are problems with crime and schools. I would think that would be more of a priority."